SKU: J-PAC. Category: Keyboard Encoders and Interface Hardware. 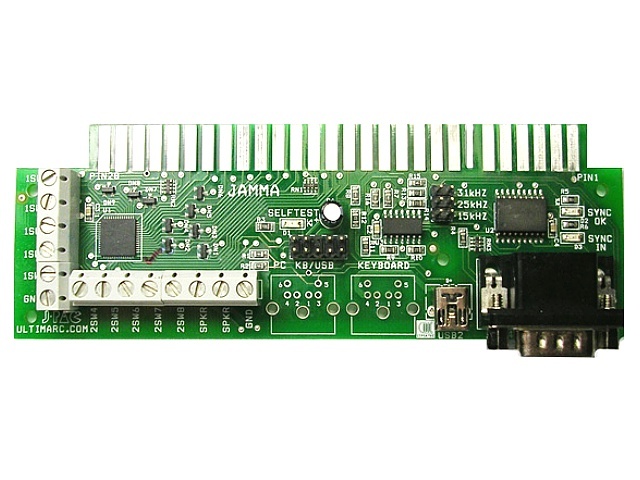 If you have a JAMMA cabinet with an arcade monitor then the J-PAC will save you a lot of hassles. 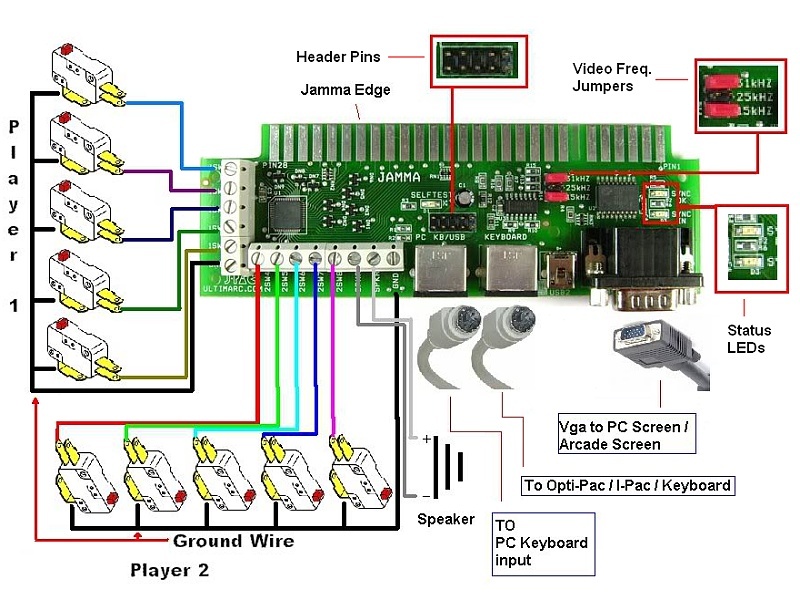 As you’ll see from the picture it has a fingerboard which accepts a standard JAMMA harness which allows you to connect the arcade monitor and all joysticks, buttons and coin slots without having to touch a single wire! 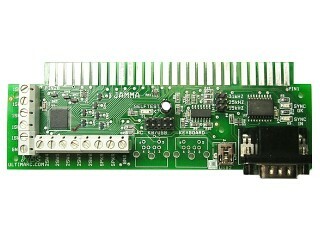 In addition there is also an on-board video amplifier to ensure that a strong signal is fed to the arcade monitor. The unit works “out of the box” with MAME, or being fully programmable it can be configured to output whatever set of keystrokes you require.